RUSH: So the media, what are they really worried about? And when I say “media,” I mean, the Democrat Party, the American left. They’re in a state of panic over this memo. I’ve had some people, “Rush, what is this memo? I don’t understand even what this is. Why are they even doing a memo? Who’s doing it? What is it? And why does Schiff have one?” Pencil Neck. Now, if you’ve been busy and you have been occupied and you haven’t been able to pay attention and you haven’t been able to listen here, you wouldn’t have any questions if you had been able to listen here, but I realize some people have rare priorities that make this program of secondary importance, just to very few people. If you’re one of those people, what this essentially is is “Dennis” Nunes, that’s Pelosi’s name for him. It’s not a memo. It is a four-page report. It’s a summary of what the House Intelligence Committee has learned in its investigation of Trump colluding with Russia. Trey Gowdy, in numerous TV appearances yesterday and today has told us what’s in this memo. We’ve also learned that there’s some additional things like Rod Rosenstein may be prominently featured in this memo. You know why? And this is fascinating. I’m getting a little bit ahead of the game here. Folks, it’s just a summary. Essentially, it’s the Republicans in the House Intelligence Committee getting sick and tired of waiting because there hasn’t been any evidence produced whatsoever on the original claim. It’s been over a year. There’s no sign the special counsel’s winding down at all, and so the Republicans, “Well, let me tell you why they haven’t found anything,” and they’re gonna lay out the evidence of how this whole thing is tainted. That’s the purpose of it. That’s why the Democrats are panicked. And so Pencil Neck Adam Schiff has decided to write his own memo to refute the “Dennis” Nunes memo. Devin Nunes, I know. 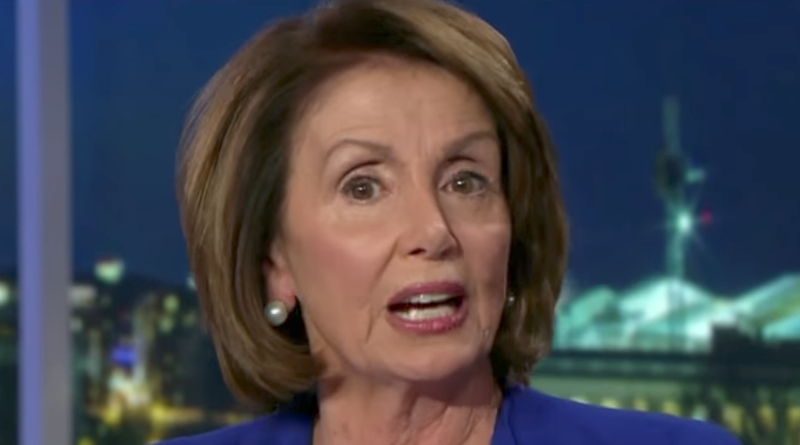 I just can’t help mocking Pelosi, folks. I’m sorry. Now, the Democrats are panicked because the Nunes memo is going to tell everybody in America who has exposure to it what you and I already know. See, folks, we live in a bifurcated culture, and the people that read the New York Times do not know who Fusion GPS is. 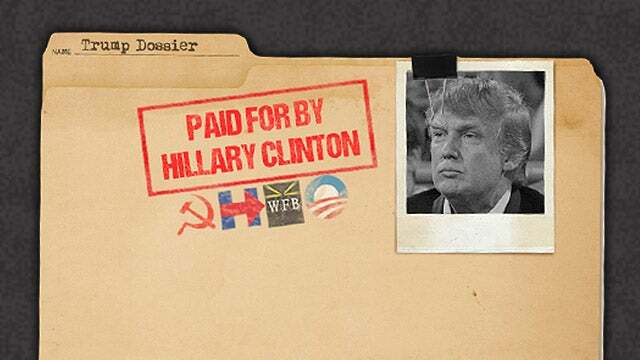 The people that read the New York Times and watch CNN do not know that Hillary Clinton paid for the Trump dossier to be written. They don’t know this because that hasn’t been reported. The Democrat side of things has been able to bottle up everything you and I know about what could be called malfeasance, partisanship, and any other number of things that you would define as attacks on Trump and attempts to ruin his presidency, before that to ruin his campaign, and then after that, to try to ruin his transition. Now, what I was going to say about the Carter Page aspect. 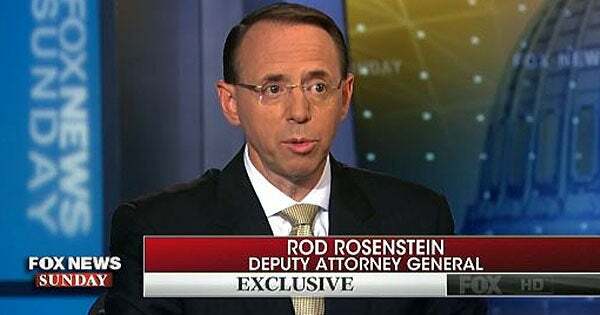 Rosenstein is a deputy attorney general and he appointed Mueller. He did not give Mueller any boundaries when he charged him with his duties under the special counsel regulations. There has to be a crime. There must be a known crime to be investigated, otherwise you cannot name a special counsel. In this case, there’s no crime. Mueller was not tasked with finding evidence of a crime and then to investigate how it happened. This is a wide-open, no-boundaries investigation; and Rosenstein hasn’t even required Mueller to check in with him and report; there hasn’t been any oversight that anybody knows about at all. At the heart of this is the Trump dossier, which you in this audience know everything there is to know about. But you have to understand that half of the country or whatever percentage that listens to the Drive-By Media doesn’t know about the Trump dossier. They don’t know what you know. It hasn’t been reported. They don’t know that Hillary Clinton campaign bought and paid for. They don’t know that Christopher Steele used Russian intelligence agents to make it up and write it. They don’t know that none of it’s been verified. They don’t know that none of it’s been corroborated. They don’t know that it was used to secure a FISA warrant to spy on Trump. They don’t know any of this, folks. Or very little of it. Well, you know what that means: He has been to Russia. RUSH: Carter Page didn’t have much to do with the Trump campaign, and he didn’t have much to do with Russia at all. But according to people who have seen the Devin Nunes memo, Rod Rosenstein authorized the renewal of the FISA warrant because of Carter Page supposedly being an FBI informant or somebody inside the Trump campaign. Or rather he was a Russian agent! They don’t know which. But Carter Page remains the focus of, of course, Rod Rosenstein renewing the FISA warrant. That’s why Rosenstein — out of the blue — ends up being mentioned in the memo. We haven’t read it; we haven’t seen it yet. This is just reports from people who have. But what the Democrats are worried about… When you start something like this, when you start a plan to take out a sitting president, you don’t have any margin for error. You cannot make a single mistake. You cannot commit a single error discovered and learned, because learning it would blow up and expose the whole thing. You have to be perfect, and the Democrats have not been perfect with this. 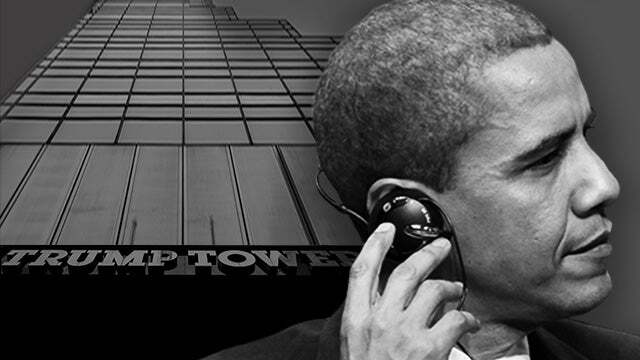 And they are scared to death that this memo is the opening move in a series of events that will expose efforts that they and others in the Washington establishment have engaged in — that are illegal, unethical, what have you — that would appall the American people were they to be told definitively and were they to find out. And everybody now is in CYA mode in one way or the other. RUSH: Something to remember. Barack Obama did not help the Democrats win seats in the House or Senate when he was president. The Democrats were losing seats in Washington and nationwide beginning in 2010. Barack Obama was a drag on the Democrat Party. That is something… You always have to keep that in mind because it’s an integral part of everything that’s happening now. Now that Obama is gone, it could get even uglier, depending on what we learn. If we learn what I think we’re going to learn, we are going to witness the American people with an awakening on just how corrupt the Obama administration was, particularly in the Department of Justice. Exonerating Hillary Clinton before she had even been interviewed, exonerating her before the investigation had even been concluded and trying to convict Donald Trump when there’s no evidence of anything. The Democrats have been convinced that they would win back the House and Senate and then impeach and convict Trump. Their future relies on what the public learns about the scandal-riddled years of the Obama presidency — which includes the scandalous, reckless behavior of his first secretary of state. They will go scorched-earth when this memo is released. I’m giving you heads up now because it isn’t gonna be pretty, and it’s what it looks like, folks. RUSH: The Democrats have grand designs of winning back the House and even the Senate this year and then impeaching and convicting Donald Trump. And the memo that is about to be released is going to put a big dent in those plans. Victor Davis Hanson has a piece today, “The American Greatness,” which is almost a chronological compilation of virtually everything the Washington political class, the ruling class — including the media — has thrown at Donald Trump to try to destroy him, everything that they have thrown at him. Barack Obama would not have survived a week of this, and had any of this been tried after Barack Obama was elected, the people trying it would have been put in jail. In other words, if the Republicans had attempted to co-opt Obama’s FBI and use it to convict Obama in the court of public opinion, whoever would have been doing what today’s FBI’s been doing to Trump would have been stopped, they would have been put in jail, they would have been punished somehow. Obama and the Democrats would not have put up with any of this had it been happening to them. They couldn’t tolerate it, they couldn’t withstand it, and there’s no other Republican that could have, either. And when you go through… Everything Davis Hanson writes about, we know. But what it does is refresh our memory and sort of condenses this. And in its condensed version, the power of everything that has been tried on Trump is overwhelming. It’s taken a year. There are many things they’ve tried. Some of them we’ve forgotten. Some of them we remember. When you put them all down on paper and you review them in chronological order, it’s just stunning what has been done by the Washington, D.C., establishment to deny Donald Trump his legitimate victory and to discredit his presidency and to get him thrown out of office. And it continues to this day. And it isn’t going to stop. And the release of this memo has got them scared to death in the swamp and in the Democrat Party because, again, half the country — or whatever percentage of it watches the media — doesn’t know any of this. The media has studiously, steadfastly refused to report about Fusion GPS, how the Trump dossier came to be, that it’s a political opposition research document, that it is not legitimate intelligence, that there’s no evidence for any of it. They don’t know this. A large chunk of the American people do not know it. So as far as the Democrats are concerned, their future relies on what the public learns and this memo would be the first step in a series of steps that would elucidate, illuminate, if you will, many of the shenanigans and scandals that were part of the Obama presidency and primarily in the Department of Justice. And this is something that they are hell-bent on preventing and stopping, or — if they can’t stop it — discrediting it before it appears. Much of this I’m gonna expose Hillary Clinton for things and in ways that she has yet to be exposed to many people in the country. 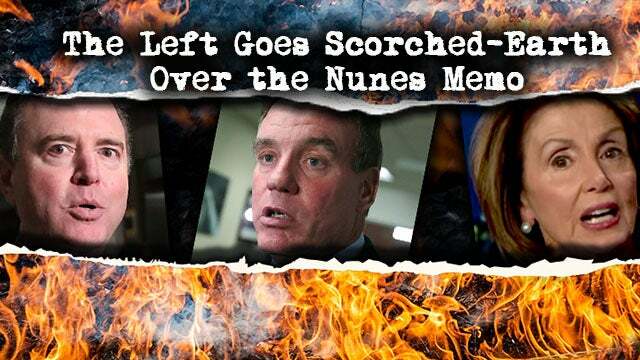 So look for ’em to go scorched-earth over the memo. They’re not gonna look at this and say, “Wow. This is really bad! Our the FBI had this happen to it?” They’re not gonna have that reaction because they did it. There won’t be any outrage or won’t be any concern for the rule of law. There won’t be any condemnation of the tactics used to get Trump. There will be an effort to suggest that it’s all a partisan creation of Devin Nunes’ imagination, that none of it happened, and, “It’s such a shame that the Republican Party sees fit to tackle and try to ruin the greatest law enforcement agency ever created: The beloved FBI. How could the Republicans do this?” When in fact, the corruption of the FBI, if there has been any is owned exclusively by the Democrat Party, and particularly that wing of the Obama administration. So, again, the memo simply reports what you and I know, what I’ve reported to you, what you know about the dossier, about the FISA warrant process, about the entire politicized aspects of the so-called intelligence or counterintelligence investigation. The memo, by itself, will expose all of the fraud. But it’s gonna be seen as a partisan document, presented that way, with no evidence. The way they’re gonna do this… The way the Democrats are gonna do this… Right now, there’s no evidence for the dossier. There’s no evidence that any of it is true. There is not a single bit of corroboration. The Democrats are gonna say, “But there isn’t any evidence that it isn’t true, either,” and that’s all they have to do to give the media a way to keep this thing alive. Let’s go to the audio sound bites, and you shall see. The Democrat committee chairman, the leader of the Democrats — called the ranking member — is Adam Pencil Neck Schiff. SCHIFF: As I said to my committee colleagues during this hearing, “Sadly we can fully expect that the president of the United States will not put the national interests over his own personal interests.” But it is a sad day indeed when that is also true of our own committee, because today this committee voted to put the president’s personal interests — perhaps their own political interests — above the national interests in denying themselves even the ability to hear from the department and the FBI. And that is, I think, a deeply regrettable state of affairs. But it does show how in my view when you have a deeply flawed person in the Oval Office, that flaw can infect the whole of government. And today, tragically, it infected our committee. RUSH: Aw, play the violins! Let’s grab the milk and cookies. Let’s get so sad. This guy really offends me. Just watching this guy speak offends me. He insults my intelligence. His pompous arrogance just insults and grates on me. What he’s talking about here, there have been clamors. There have been requests, there have been suggestions, there have been demands that the FBI and the DOJ be allowed to see the Devin Nunes memo before it’s made public. “This is very dangerous what you’re doing, Congressman,” they’re saying to Nunes. “It’s very, very dangerous. Uh, we — we — we need to vet your memo, make sure that no national security secrets are being released, make sure that we’re not endangering people’s lives. We — we need to see what you’re putting out there,” and Nunes has said, “Screw you! We’re not giving you a chance to find out what’s in this. You already know what’s in this. We’re not gonna fall for your tricks of having the release delayed or obscured, obfuscated,” what have you. So Schiff is saying (imitating Schiff), “It’s a bad day, it’s a sad day in America, very sad day when the president’s personal interests are placed over the country’s national interests and denying the DOJ and the FBI a chance to see what is going to be said about them,” as though they don’t know. So Schiff is writing his own memo. I expect it to leak. Now, the current status of the Nunes memo is it goes to Trump, and Trump has five days to figure out what to do with it. Trump can release it, can order it released, or he can tell ’em, “Nope, we’re not releasing this.” I’ll give you a theory as to why it hasn’t happened already. A lot of us — and I will include myself in this — have been flummoxed why Trump has not done this himself. ‘Cause he’s been talking about it. He’s been talking about the abuse of the FISA court system and the securing of the warrant to wiretap him at Trump Tower. He was right about it when he originally suggested it back in March 2017. There’s gotta be a reason that he’s reluctant to have this released, and it could be the very FISA warrant application itself. The best educated guess on this is that the FISA warrant application’s got much more in it than just the Trump dossier. That the FBI, that Comey, Rosenstein, whoever it was that applied for this FISA court warrant to surveil Trump probably threw a lot of things in it in order to get the judge to grant the warrant to surveil. We don’t know if the judge is complicit in this or if the judge has been defrauded. But one of the ways they try to get rid of Trump, one of the things we know that they’re going to do, because they’ve been trying to get rid of Trump on the basis of the fact that he’s a scuz bucket, that he’s immoral, that he’s a rogue barbarian, that he’s uncouth, you know, all these questionable morality violations of Trump. If there’s a bunch of that stuff thrown in there as well, then you could maybe understand why Trump wouldn’t want the entire FISA warrant application released. This is the best guess a number of us have come up with as to why Trump hasn’t authorized any of this way before now. Because he could! Trump can declassify anything he wants at any time. He runs the executive branch. So it’ll be very interesting to me to see what Trump does. I don’t expect Trump to mention this memo in the State of the Union tonight. I think he’s got too much to talk about economically, America’s rebirth, renewal, this massive economic growth and all the examples he can cite and then the plans, the projections for even more of what we are experiencing now. I know some of you are wishing that he would just destroy the deep state and the Washington establishment by actually reading Nunes’ memo as part of the State of the Union. Well, there are some people who wish he would. It would be a big mistake to do that. Do the State of the Union, do what it is, and then save whatever you’re gonna do with this memo for later. It will be real interesting to see if Trump does authorize the release of this. Now, the news that we’re getting is that he’s going to release it. (interruption) You haven’t seen that alluded to? Yeah, I’ve seen it alluded to. It was yesterday. I forget how it was worded. “Experts expect the president to authorize the release of the memo before the end of the week,” or something. It will be interesting to see if he does. He could release the memo without declassifying the FISA warrant. But he’s gonna mention — we’ll just have to see. I hope he does. I hope the whole thing gets released. This has gotta be exposed. This has to be exposed. The whole process of it has to be misdirected or changed. The momentum has been taken over. The Democrats are going to keep this alive all year long no matter whether this memo is released or not. I’ll explain how they’re gonna do it when we get back. 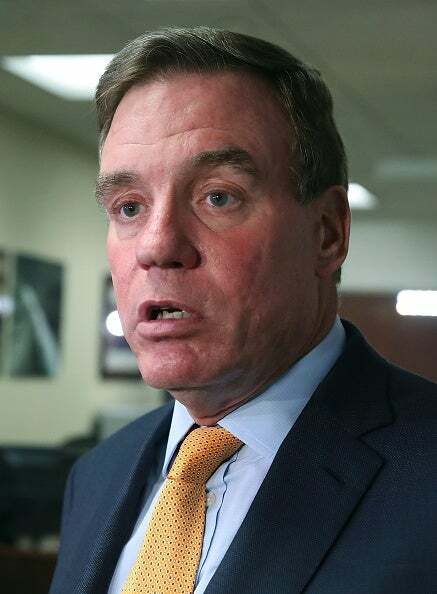 RUSH: Yesterday on The Politico website podcast, The Global Politico, they talked to Senator Mark Warner. He’s the ranking Democrat in the Senate Intelligence Committee. They were talking about the Russian investigation findings and all that. And listen to what he says here. This is how the Democrats are gonna keep the Trump dossier and the entire investigation alive no matter what. WARNER: In my mind, one of the most amazing things is whether Mr. Trump or his campaign colluded or not, the fact that there is this explosive dossier that’s been in the public realm for a year-plus, and whether enormous scrutiny from the press or for that matter work of the American government that so little of that dossier has either been fully proven, or conversely, disproven, that’s pretty amazing. RUSH: Disproven. It hasn’t been disproven. They’re going to focus on the impossible: proving something didn’t happen. But you notice, “In my mind, one of the most –” now, this guy knows. This guy knows that this dossier is not an intelligence document. This guy knows that his party’s presidential candidate, Hillary Clinton, bought it and paid for it, and that it was written as an opposition research document. It is not corroborated because none of it happened! It was literally made up by Russian agents paid by Christopher Steele, who was paid by a law firm acting as a cutout between the Clinton campaign and Fusion GPS. He knows this. And yet he says, “In my mind one of the most amazing things is whether Mr. Trump or his campaign colluded or not, the fact that there is this explosive dossier that’s been in the public realm for a year plus.” This is outrageous! It has been in the public realm for a year-plus because you put it there! They key here, it has been in the public realm for a full year and there’s no evidence, there’s no corroboration. In any other investigation, that ends it. It’s over. A full year, and nothing? And yet it remains in the public domain, this shocking, explosive dossier, enormous scrutiny from the press, so little has been proven? Which means we have to keep investigating. This is a scam, and this is what the Devin Nunes memo exposes. This is the ranking Democrat on the Senate Intelligence Committee, and he knows what this document is. And yet he goes on the political webcast and misrepresents what this thing is yet again. That’s why people who listen to mainstream media don’t have any idea what you know about this. Trey Gowdy has as much as told us with his ways of describing it on TV appearances the last couple days. But, look, we’re fully up to speed on this. We know exactly how memo’s been used, how it was created. We know we’re telling you the truth about it. Now here’s little Pencil Neck over there, Adam Schiff. He wrote his own counter-memo. He wrote his own memo, and the Republicans voted not to release his. I think they should have (laughing), frankly. The memo is “full of innuendo, glaring omissions.” “‘It presents evidence without context and jumps to unfounded conclusions. We should call it what it truly is: A slanderous memo of GOP talking points,’ said Schumer from the Senate floor.” Well, then why was it classified? If it’s got a bunch of unfounded conclusions, why was it classified, Senator? And why are the Democrats saying that releasing it will endanger national security, if what’s in it is unfounded? By the way, doesn’t his description actually fit the Trump dossier? A slanderous memo of Democrat talking points? That’s what the Trump dossier is, not the Republican memo. “He added that Republicans should have supported publicly releasing a countermemo from … Adam Schiff, saying, ‘What’s good for the goose is good for the gander’ and it would be ‘absolute hypocrisy’ to not release both'” of them. What a bunch of children these people are. The Democrats are really a bunch of spoiled brats when they don’t get their way. They really are a bunch of spoiled little brats and children entitled to power, entitled to winning everything — and when they don’t, it’s just not right and it’s unfair and it’s crybaby time. They couldn’t stop the FISA abuse memo from being released. So they sat down and they made up their own memo with Pencil Neck Adam Schiff writing it, demanding that it be released as well. And yet Little Adam won’t even leak his own memo! I just find this… This is exactly how people who are about to be exposed behave. RYAN: There are legitimate questions about whether an American’s civil liberties were violated by the FISA process. We are the legislative branch of government. There may have been malfeasance at the FBI by certain individuals. So it is our job in conducting transparent oversight of the executive branch to get to the bottom of that. 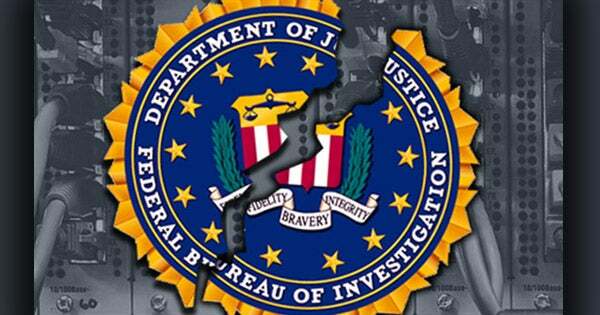 RUSH: Now, you may ask, some people do, “Why do Congress get oversight of the FBI? FBI, executive branch, why does Congress get –” Because Congress created ’em. The Founding Fathers didn’t create the FBI. The Founding Fathers never heard of J. Edgar Hoover. Congress created the courts. Congress created the various federal districts in which reside the federal courts. Congress has oversight of all that it created. Congress makes the laws. So Congress creates the FBI. Well, look, it may not have been a congressman who conceived of the idea; don’t misunderstand. But the actual act, the legal requirements for establishing the FBI to happen in Congress. I don’t mean that some member of Congress, “You know what? We need a federal investigation –” Wild Bill Donovan created the CIA, and Bill Casey was one of his agents, Reagan’s director of the CIA. It was originally the OSS and it got organized in World War II. And there were no limits. I mean, there were no rules. These guys couldn’t break rules back then because there weren’t any. It was the formative days of what was to become the CIA. George Washington did not establish the CIA. And the CIA director has to go to Congress for budgets. Not just the director. The deputy director, a bunch of them troop up there every year, and there’s a bunch of different CIA budgets. There’s the standard public budget everybody knows about. Then there is the black ops budget, which nobody knows anything about. And then there are all the companies the CIA owns, like Screw You Airlines and whatever. CIA owns things you wouldn’t believe they own. But Congress has — not oversight, but they’ve certainly got budget authorization. GOWDY: My Democrat colleagues didn’t want us to find this information. They did everything they could to keep us from finding this information. It will be embarrassing to Adam Schiff once people realize the extent to which he went to keep them from learning any of this. So that would be the embarrassment. Going to court to help Fusion GPS so we can’t find out that they paid for the dossier and that they were working for the DNC, that’s a pretty big step to go to court to try to keep the American people from learning something. So, look. If it were up to Adam Schiff, you wouldn’t know about Hillary Clinton’s email, you wouldn’t know about the server, you wouldn’t know who paid for the dossier. If it were up to him, we wouldn’t know any of it. RUSH: Right. If it were up to the Democrats, you wouldn’t know any of what you know. And now that we’re on the verge of knowing it, the Democrats are running around saying this is threatening the Democrat process. Transparency and the people’s right to know is now threatening our precious Democrat bodily fluids. RealClearPolitics: Gowdy: FISA Memo Will Be "Embarrassing To Adam Schiff"